Andy Griffiths is Terry's best mate. He is also Australia's number one children's author! 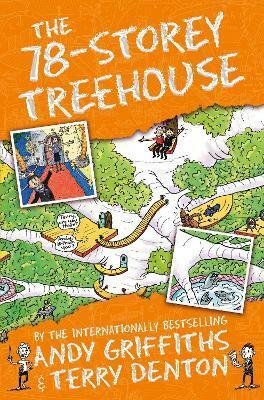 His books, including the popular Treehouse books, have been hugely successful internationally, winning awards and becoming bestsellers in the UK and the USA as well as in his homeland, Australia. Andy thrives on having an audience: he has worked as a high school teacher, been the lead singer in a rock band and a stand-up comedian. He is a passionate advocate for literacy, has two daughters and lives in Melbourne, Australia.